I was flicking through a Weightwatchers recipe book called the Book of Recipes (see what they did there?) looking for some healthy meal ideas, and I came across a recipe for Yorkshire curd tarts. As the letter for Alphabakes this month is Y, and my boyfriend's mum was coming to dinner and we are both on a January diet (or semi-diet in my case!) I thought it would be a great idea to make for dessert. It's a traditional Yorkshire dessert - a pastry tart with a filling made from butter, sugar, milk and egg and raisins or currants. As this is a Weightwatchers recipe it uses cottage cheese - but don't be put off! Preheat oven to 180C. Roll out the pastry and cut out circles and place in a tin. I used a whoopie pie tin but you can use a mini tart tin or a shallow cupcake tin. I sprayed the tin with Dr. Oetker Cake Release first. Push the cottage cheese through a sieve into a bowl and beat in with the lemon, sultanas, sugar and egg. Divide the filling between the pastry cases and bake for 20 minutes. They've risen and gone golden brown on top. They were very easy to remove from the tray thanks to the Cake Release. These are bite-sized and if you are following Weightwatchers, the entire recipe has 31 ProPoints so it depends if you get more tarts out of your mixture and how many you want to eat! I'm sending this to Alphabakes, the challenge I co host with Ros at The More Than Occasional Baker, as the letter she has chosen this month is Y.
I'm also sending this to the One Ingredient Challenge, hosted by Nazima at Franglais Kitchen, and Laura at How To Cook Good Food, as they are looking for healthy recipes this month. This is a Weightwatchers recipe that uses cottage cheese to make it lower in fat, which is definitely healthier than a lot of desserts! 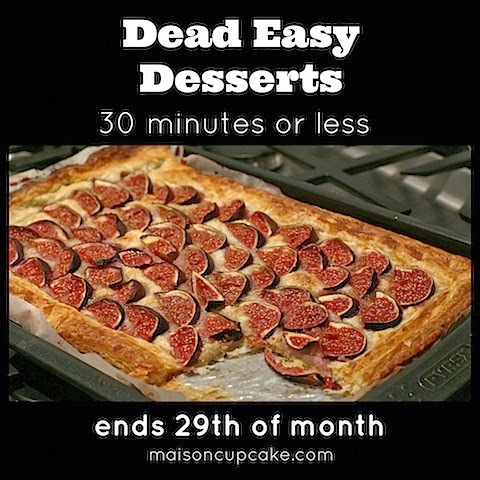 I'm entering Maison Cupcake's Dead Easy Desserts challenge for the first time, which is for any dessert that takes less than 30 minutes to make. January's Four Seasons Food, hosted by Louisa at Eat Your Veg and Anneli at Delicieux, has 'virtuous' as its theme this month. I always feel virtuous when I cook a Weightwatchers recipe! Oh lovely Caroline! A healthier version of a good old Yorkshire Curd Tart, one of my favourites. 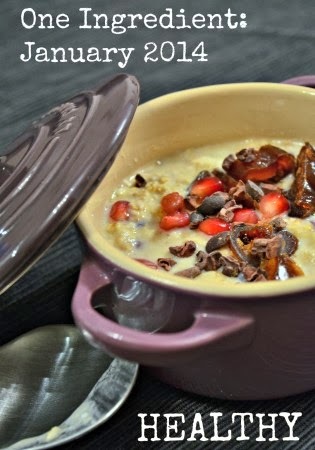 Thanks so much for linking up to January's #Virtuous #FourSeasonsFood event. These look great and I love that they are healthier too. I must try and use more cottage cheese in my bakes. Thanks for entering AlphaBakes. These sound really interesting - I have never baked with cottage cheese before but looks like it makes for a good pie filling! Thanks for sending to Dead Easy Desserts!